A recent Noel Carboni process of mostly mini-WASP test data (I used one scope for imaging whilst trying to set up the other two scopes). 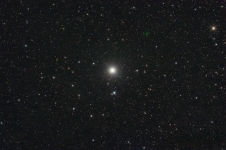 This is Polaris the alpha star in Ursa Minor. 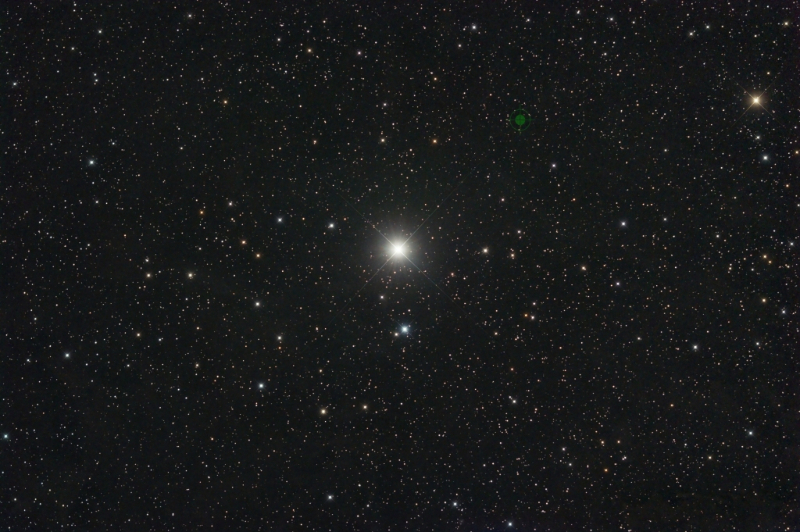 Although it looks like a single bright star it has two close companions and two more distant companions – it is also a Cepheid variable! The green cross hairs at the 2 O’clock position from Polaris show the position of the celestial pole, the point which all the stars appear to rotate around.